We've just come back from a very succesful campus tour with Abuse The Youth. The band played in Ubon Ratcathanee, Sisikaet, Surin and Udon Thani. Also on the tour were Art Floor and we thought it would be great if they would play at Mind The Gap. Art Floor have recently had a hit single and their sound is quite melodic but boosted with soaring guitar solos with more than a nod to Radiohead. We pleased to welcome back Xavier who really impressed us with their show a few months back at The Tube. Great songs with a very stylish delivery. 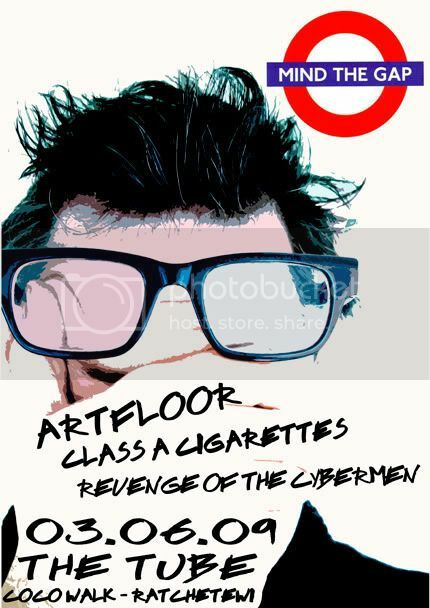 Also it's great to have Class A Cigarettes back at the Tube again...Think Sonic Youth and Velvet Underground.